Violators may be ejected and are subject to disciplinary action by the BSA Coaches Review Committee. memorable soccer experience for all involved. Provide an enjoyable yet challenging environment for all skill levels. Provide an understanding to all aspects of the game. Provide an environment that develops and strengthens player skills, confidence and self-esteem. Be the positive example of leadership, Integrity, and good sportsmanship. Be knowledgeable about the game, and with the rules, for the level you are coaching. Abide by all policies established by the BSA. Check playing fields for safety prior to practice and games. Make every effort to play each child equally in every game regardless of the score. Provide each child equal playing time at each and every position throughout the season. Understand player emotional and physical well-being comes before the desire to win. Be responsible for the conduct and sportsmanship of all assistant coaches, players, parents and spectators who are supporters of your team. Along with assistant coaches, provide timely and accurate team ratings, and make every effort to participate in all the various team placements and training sessions. Be prepared and organized by developing practice plans and pre‐game line‐ups which support position rotation and fair playing time. Encourage the players to think for themselves and let them make their own on field decisions. Do not permit or participate in the continuous yelling out of play by play direction. Let the players play. The game is the best teacher. Allow only three coaches on the players sideline during games. Understand and be supporters of the team philosophy, goals and ground rules. Send your player ready to play and be prompt at drop off and pick up. Support the team and provide positive encouragement, but not instruction. Let the coach’s voice be the only voice heard which provides specific direction or game time adjustments. Parents and supporters should watch the game on the opposite side of the field from the teams. Let the players make their own decisions on the field. This is how they learn and improve. Understand, support and follow the Zero Tolerance Policy. Be respectful of referees at all times, many are younger students of the game who are also learning. Refrain from negative conversations about other players, coaches or the league in front of your children. Foster and be the positive example of good sportsmanship. If you have a complaint or criticism regarding playing time, positions played, or any other coaching decision related to a game, wait at least 24 hours before raising the subject with the coach and then address your concern constructively. If you have an idea to improve the team in anyway, consult a team coach or appropriate Board representative of the BSA. Understand the team philosophy, goals and ground rules. You are the athlete, prepare your uniform, equipment, water and arrive on time ready to play. You are responsible to fulfill all of your academic requirements prior to soccer events. Be respectful of referees, teammates, opposing players, coaches, parents and fans. Good sportsmanship is always a requirement. Win graciously and lose with dignity and pride knowing you tried your best. Be a responsible representative of your soccer team and town on and off the field. Be a supportive teammate and give everyone positive support. Listen to your coach’s; they are there to help you learn. Ask questions if you do not understand. Take time to practice, practice and practice on your own. Voluntarily help pick up equipment and clean up after practices and games. Make sure you have fun. If you are not having fun you should share your thoughts with your parents or one of the coaches. Players, parents and coaches who do not abide by the code of conduct could be subject to a disciplinary review meeting resulting in corrective action, suspension, removal or replacement. 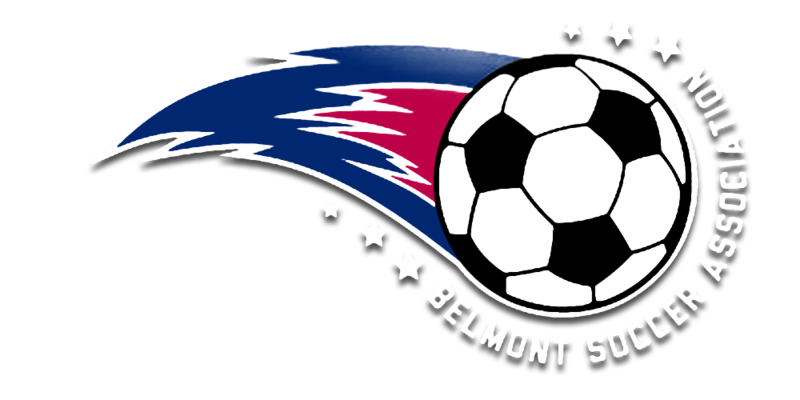 Please review the BSA Bylaws to understand the structure and governance of the Belmont Soccer Association.